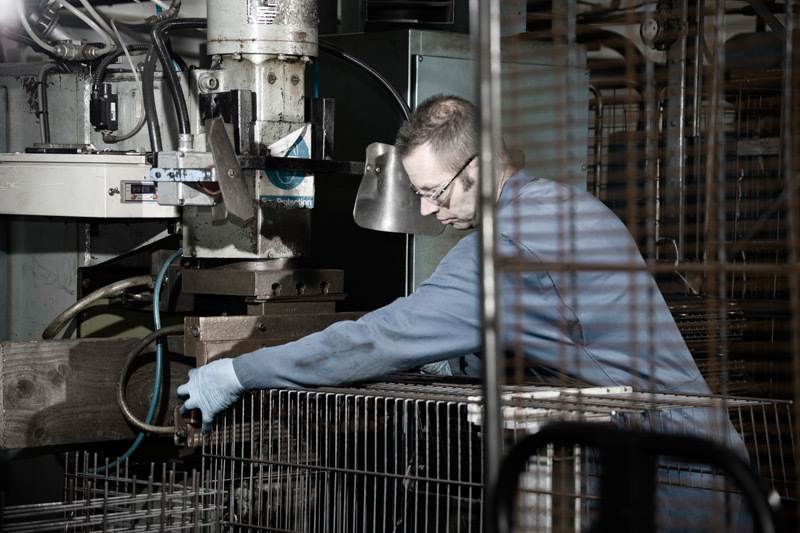 Peter Perks Ltd has over 40 years experience of producing wire mesh panels, welded mesh and wire products. 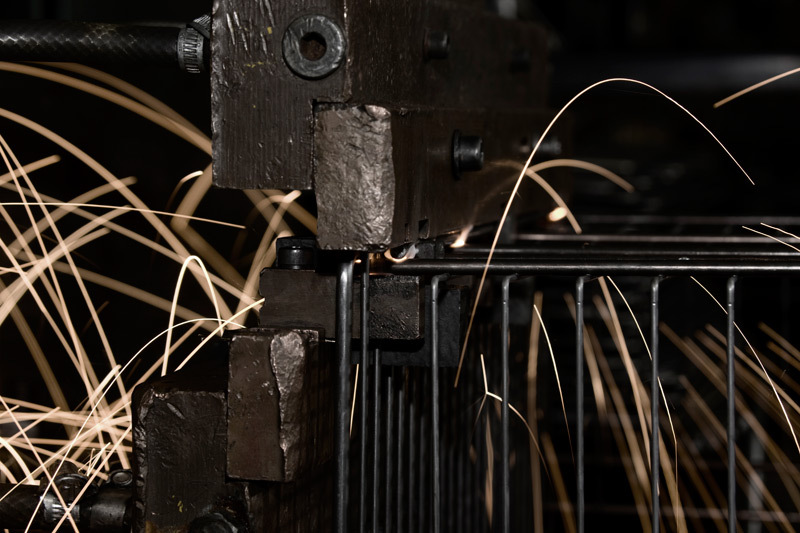 Our automatic wire mesh welders can produce weldmesh panels up to 1250mm wide any length or any pitch. Mesh panels are suitable for guarding, shelving, retail display stands, forming up into baskets and many architectural and agricultural applications. Any configuration of pitches can be produced and different diameter wires can be used in the same panel. 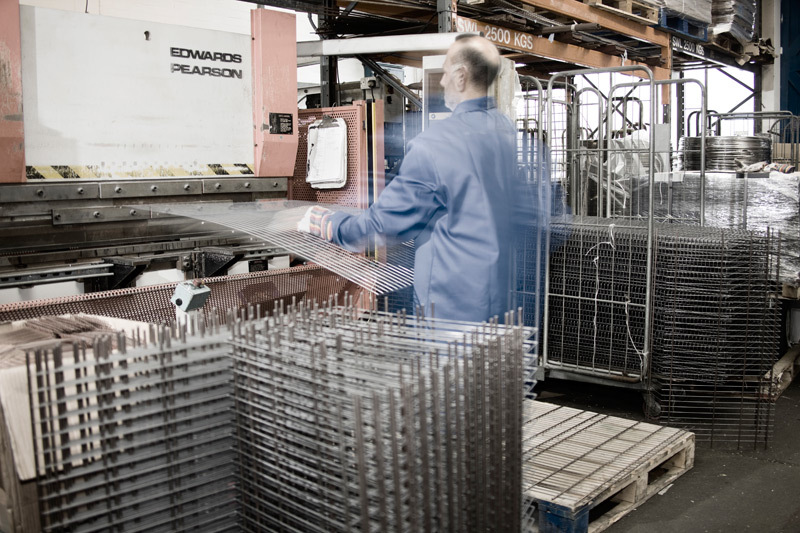 We manufacture bespoke weldmesh panels using 1.65mm to 10.00mm mild steel wire. Many of our customers have achieved significantly reduced costs using our bespoke panels. Where in the past they would for, example, have cut up 8’ x 4’ sheets of 2”x 2”x 10g mesh they now buy panels the correct size. Cutting mesh is labour intensive and quite often there is a large amount of scrap. In many instances the cut will leave tag ends that all have to be welded or finished in some way. We can spread the pitch or put in special pitches to make panels the right size for the job. We can trim, notch, crop, and form wire mesh. We can projection weld and arc weld. 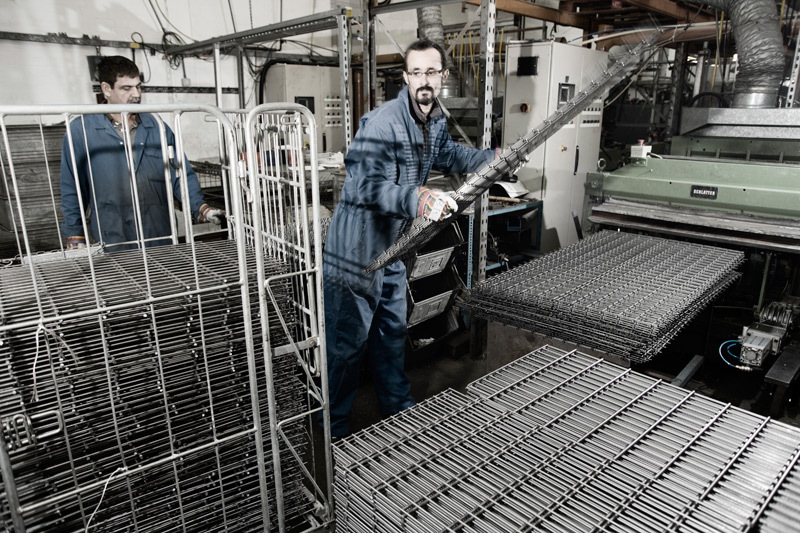 We manufacture baskets, shelving, framed wire mesh panels and guards. We help you with design to get the best product for the best price. We offer plastic coating in house. Ld polythene coating is a durable and attractive finish. 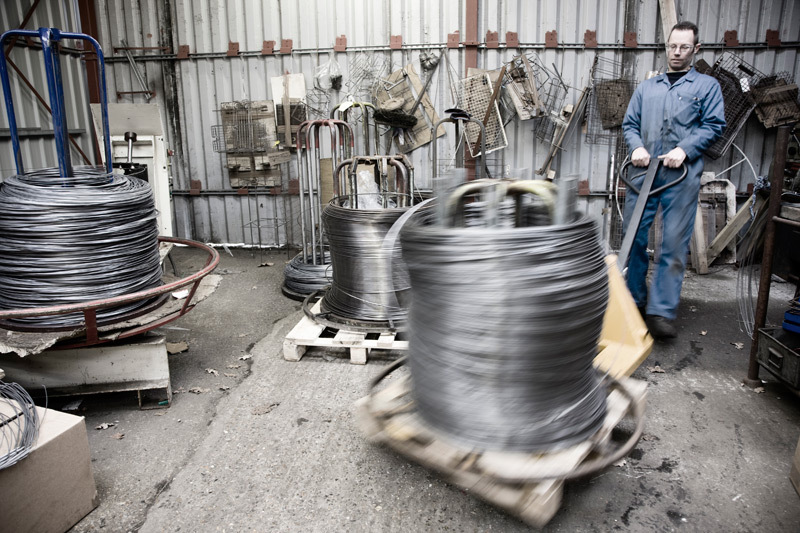 We heat the product in an oven before dipping it in a fluidized tank of low density polythene powder. 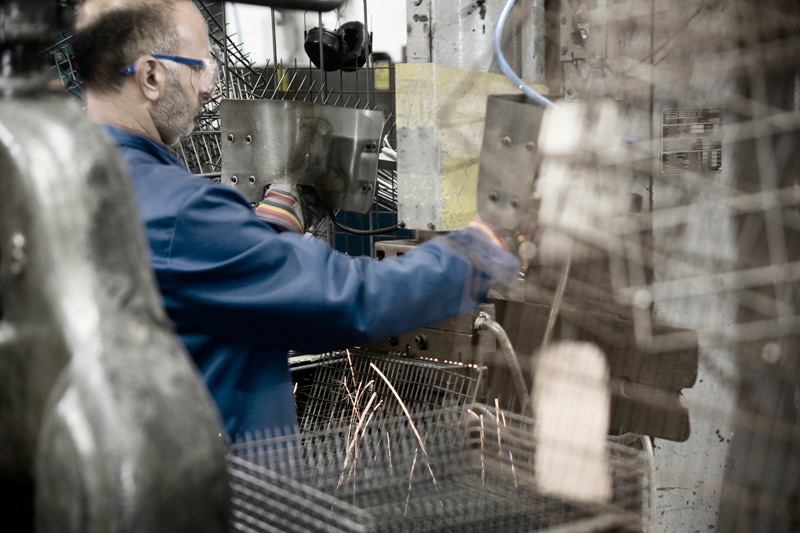 The product is then placed in another oven to cure, leaving a smooth shiny finish. Stock colours are grey, black, white, blue and light blue.